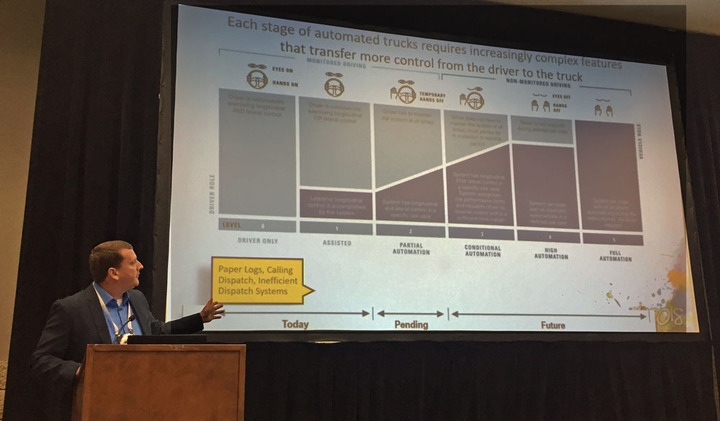 A panel discussion at the McLeod Software 2018 Users Conference explored autonomous vehicles, explaining that the Smart Truck as a Client is an important part of making self-driving trucks a reality in real-world logistics operations. How does a self-driving truck get dispatched? What happens when it breaks down? If a receiver keeps it sitting waiting to unload? When it encounters a four-way stop or a policeman directing traffic? 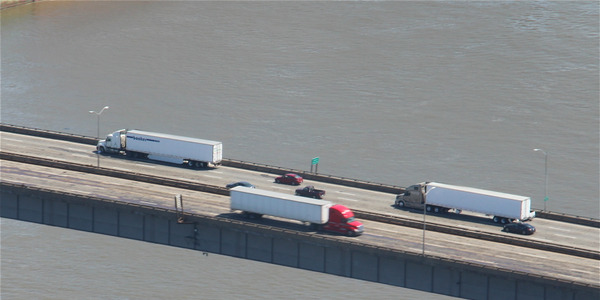 These questions and more were explored during a panel discussion to explore the topic of smart trucks and autonomous vehicles during McLeod Software's 2018 User Conference in Birmingham, Alabama, Oct. 2. Much has been made of how smart trucks are becoming. 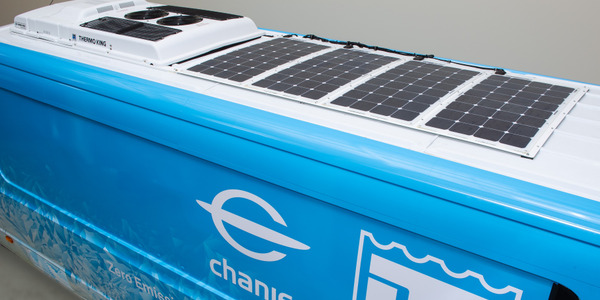 Today’s tractor-trailer is a computer – or in reality, many computers, fed by many more sensors and connected via telematics – rolling down the highway on 18 wheels. 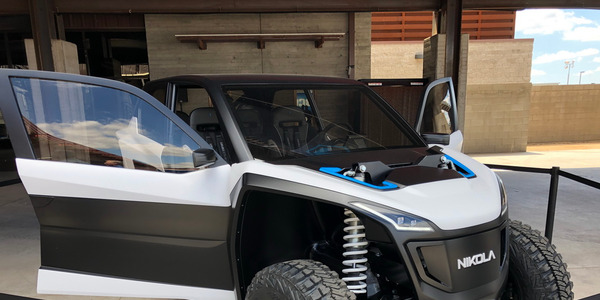 But as we progress toward increasing levels of vehicle autonomy, what’s the protocol for all that data interacting with real-world dispatch, routing, and back office software? 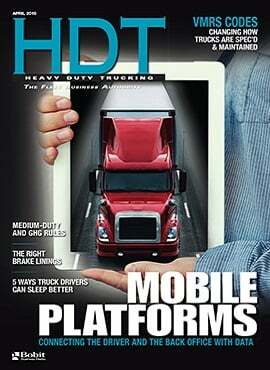 That’s the premise behind McLeod Software’s Smart Truck as a Client, or STAAC, initiative. It is building on the notion that a smart truck is simply another computer, or client, on the integrated information and data network of the supply chain. Today, explained Brad Robinson, director of sales services for McLeod, there are numerous devices on a truck, some connected, some not. 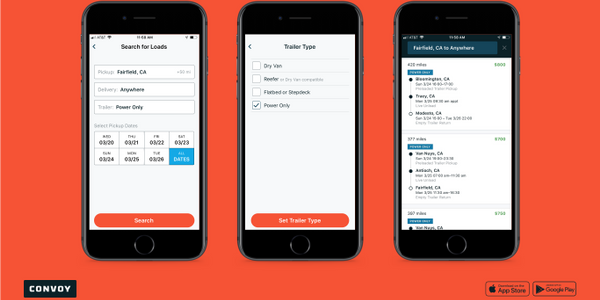 With the ELD mandate, more fleets are computerizing dispatch and using data for historical reporting and analytics. But how do you integrate the various proprietary systems? How does all that information get back and forth between the truck and the home office in real time? Tom McLeod, president of McLeod software, said technology from mobile communications and telematics vendors has provided some incremental advances in this area, “but we’re not yet putting much computing and forecasting ability in the unit in the truck.” McLeod’s new driver app has added the ability to connect via APIs so drivers can see settlement information, send back images, etc., mostly information connected to the load. “To make all the right decisions you’ve got to have all the right information, and there’s an enormous amount of information being gathered on the truck, on this STAAC,” McLeod said. McLeod Software sees this migration happening in two phases. 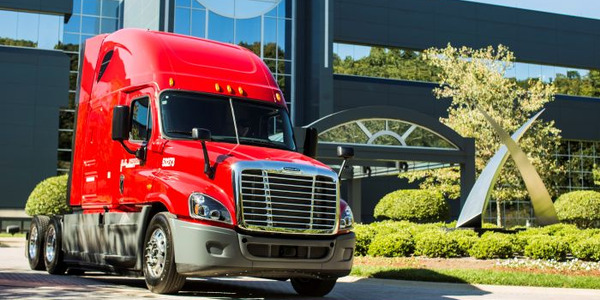 With phase 1, the driver is still in the cab, but the truck is getting smarter every day. 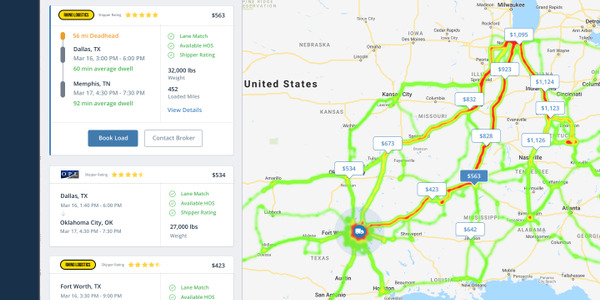 “This is where we can significantly upgrade the driver experience,” Robinson said, with incoming and outgoing data tracking and enabling things like platooning, truck parking, weather routing. The system could handle automatically rerouting a truck because of a road closed by a crash, taking hours of service and traffic into account, and even automatically notify the customer. And how about automated detention billing? “A great deal of the software needed for this integration has already been built by McLeod and its partners,” he pointed out. Mark Cubine, McLeod vice president of marketing, pointed to the analogy of the military and its drone programs. They may take off under the control of the local air base in Kandahar, for instance, but switch to control in the U.S. for the actual mission, then back to local control for landing. “What’s going to happen when the autonomous truck gets to the gate of the Walmart distribution center?” Cubine pointed out. “Do we still have detention problems? Who’s going to manage that part of the trip? My theory is you can detain an autonomous truck as easily as you can detain a driver right now, and that’s going to have to be solved. One question related to the operation of autonomous trucks has been, what happens when something goes wrong mechanically with the truck on the road? Matt Krump, director of connected services fleet health for Navistar, is part of the team that developed and launched OnCommand Connection in 2013, and spoke on the McLeod panel discussion. 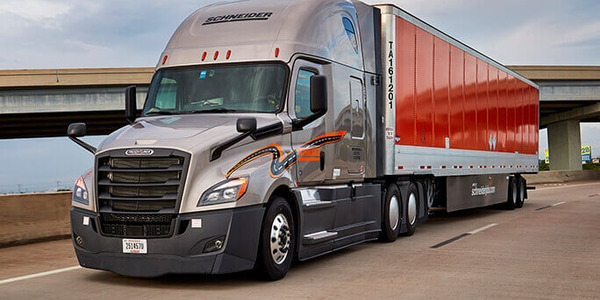 OnCommand Connection is a remote diagnostics platform that works either through partner telematics companies or via International’s own integrated telematics device, on all makes of trucks, to provide fleet managers with comprehensive health reports on their vehicles. 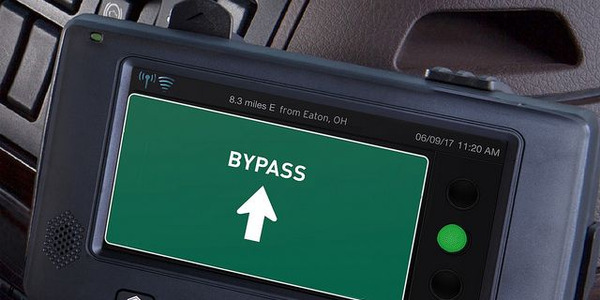 The system takes fault codes and translates them into English, including what symptoms the driver is likely experiencing to help confirm the diagnosis, and recommendations of what needs to be done next – does the driver need to pull off at the next exit? Get routed into the nearest dealer once he delivers his load? Or can it wait till the next PM? This is the kind of information that will help make autonomous truck operation possible, Krump said. 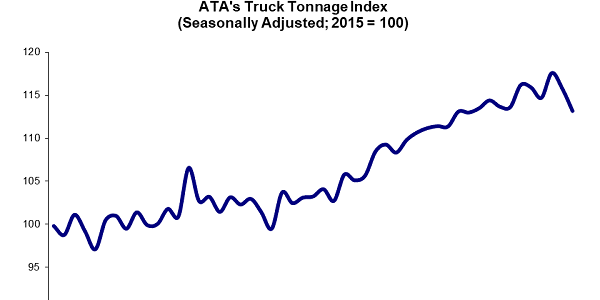 As Cubine pointed out, right now, all too often fleet management doesn’t know there’s a problem with the truck until it breaks down, as drivers ignore warning lights in hopes of getting more paid miles under their wheels. 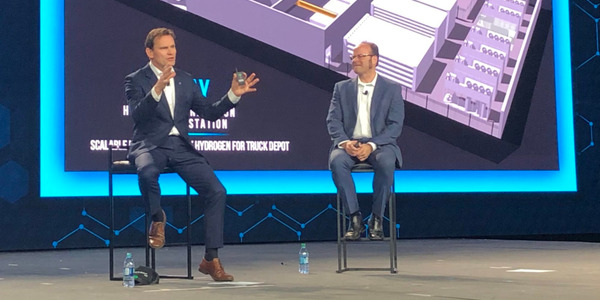 While the panelists were able to outline a lot of the challenges and solutions involved in making autonomous trucks a reality, they also acknowledged there are still a lot of roadblocks. He also pointed out that we won’t see the same level of automation implemented in all applications at the same time. “Those environments where you need the most human interactions are going to be the last places where level 5 is implemented,” he said.